Each of these jackets fills a little niche in Ice Fishing Apparel. 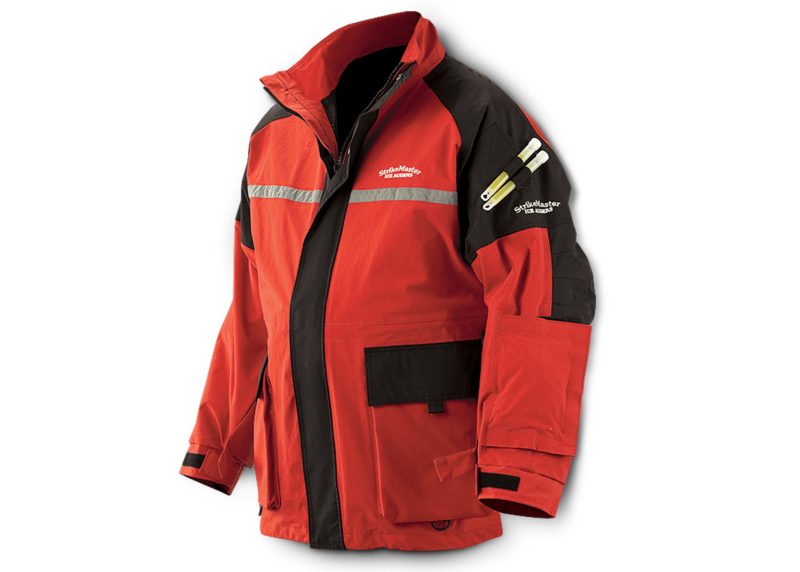 The Eli Jacket is designed for early and late ice with flotation assist and a number of other safety features. While the Polar Parka has no insulation allowing you to dial in your warmth with base layers underneath. Either way, at under $50/ea you can grab both of them and have a coat for every condition. Shipping is free on orders of $99 or more. Checkout the rapala.com clearance section to fill your cart. Posted on July 31, 2017 by IFDPosted in All Deals, Apparel & ClothingTagged Buoyancy Suit, ELI, ELI Jacket, floating ice fishing jacket, Flotation, ice fishing jacket Buoyancy, ice force, Jacket, jackets that float, jackets with built in life jackets, Parka, polar parka, Rapala, Strikemaster, strikemaster ice force eli jacket, strikemaster ice force polar parka.